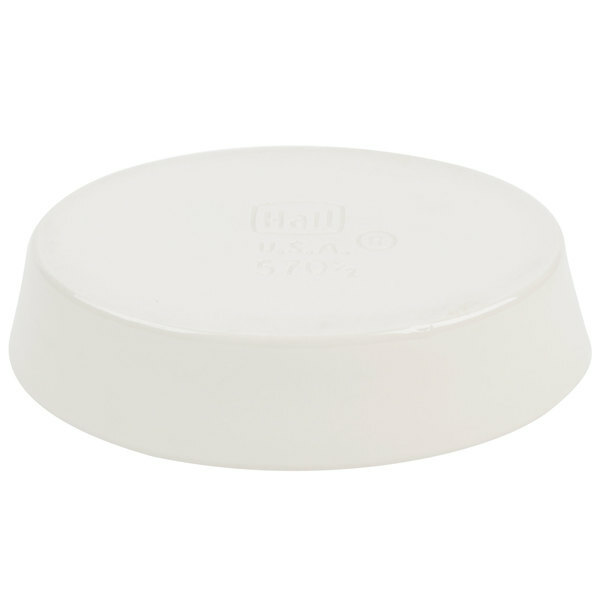 This Hall China 5701/22AWHA ivory (american white) 7 oz. 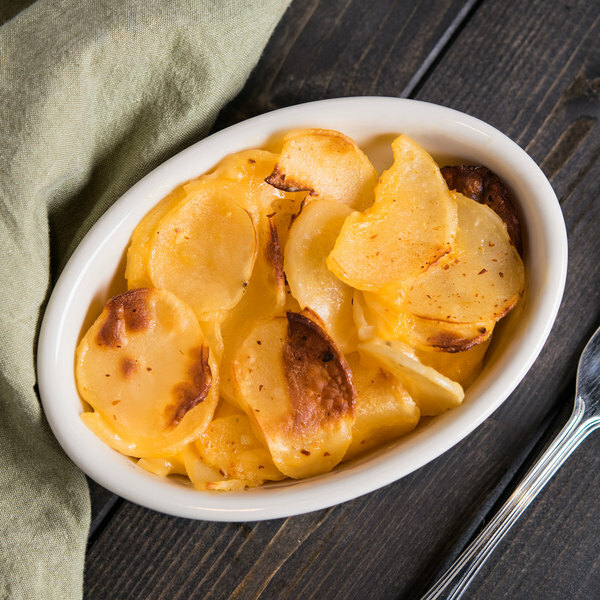 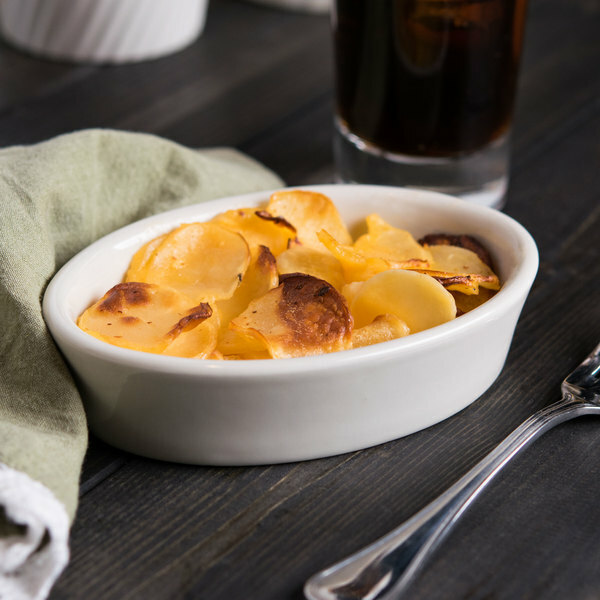 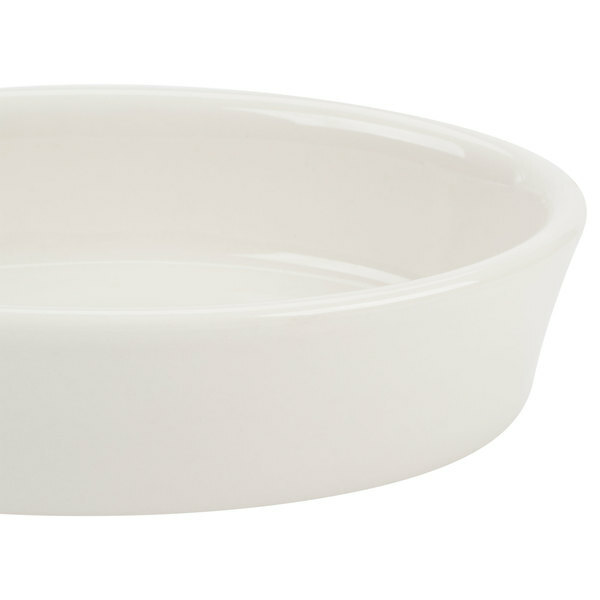 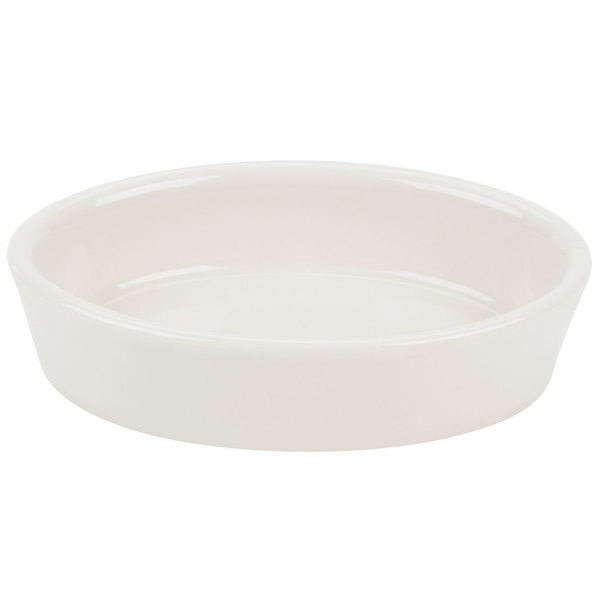 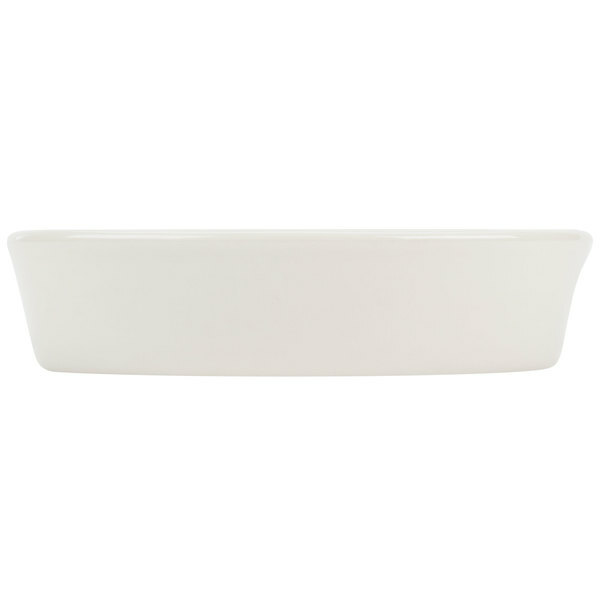 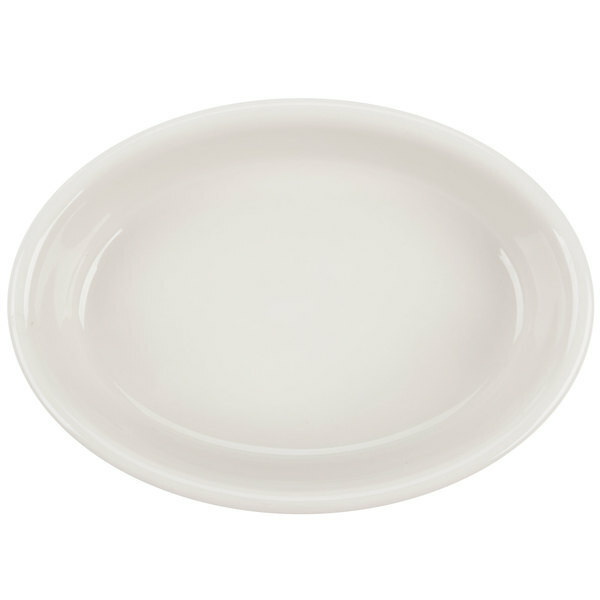 oval baker dish is perfect for baking and serving side dishes, small appetizers, or desserts like casseroles, hot crab dips, or fruit cobblers. 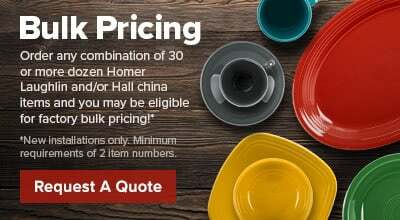 Hall China provides the best heat and cold retention available and is specifically designed to distribute heat uniformly to prevent scorching and burning during service.